Big, Bold Flavors. By YOU. Chop. Saute. Stir. Mix. Bake. Cook. Yes, YOU. 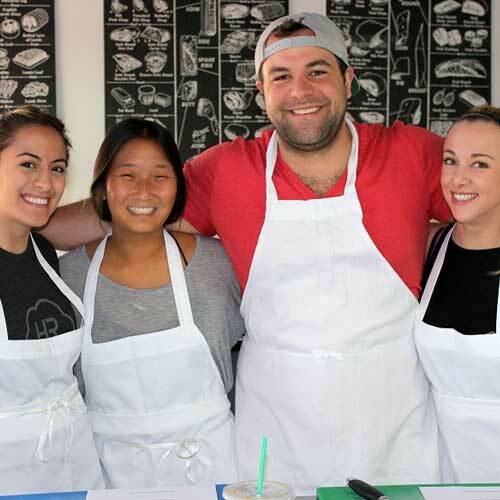 Release your inner chef with a cooking class from the South Bay School of Cooking. Learning to cook should be fun. In our classes, you work around a communal island, making recipes and sharing tasks. The room is alive with laughter, vivid with the aromas of fresh herbs and spices, electric with the sizzling sounds of sautéing. No one gets banished to an outer work station to fumble away in solitude. 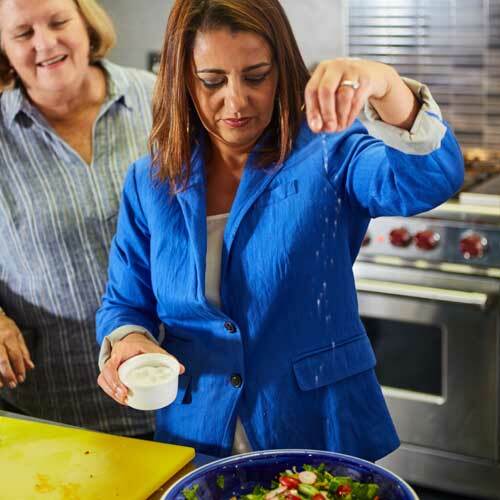 When you leave the class, you will be able to recreate recipes that once appeared daunting like coq au vin blanc, savory soufflés, pad Thai noodles, and perfect paella. Using easy to prepare recipes, seasoning and basic cooking techniques, you’ll learn time saving preparation to get you on your way to cooking wonderland. Learn loads of tips and those sacred cooking secrets that only a professional can share. Show your appreciation to employees, clients or vendors or provide an offsite activity for meetings with a private hands-on cooking class. Not only will the class be fun, delicious, and a learning experience, but group cooking classes generate creativity and develop camaraderie. Make summer a fun way for your kids to learn a variety of basic cooking techniques while exploring multicultural cuisines. Students from ages 8-13 will have a great time as they learn new skills, have the opportunity to try new foods, and share mealtimes with their campmates. 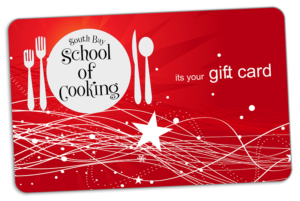 Share your love of cooking with family and friends – give a South Bay School of Cooking Gift Card.